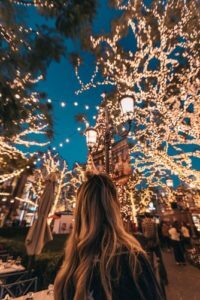 Blog » Christmas Lights Switch Ons! 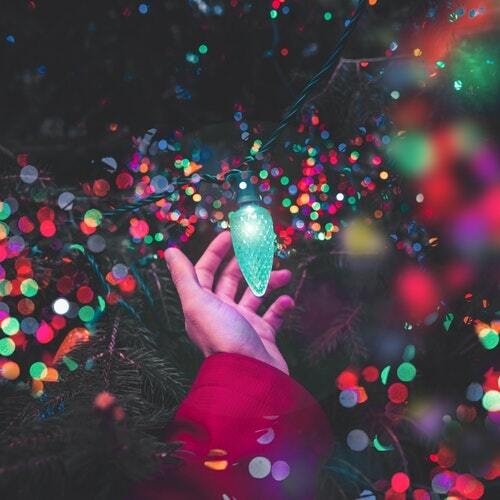 Sparkly Christmas lights will brighten up the cold, dark nights, with plenty of switch on events in Halifax and Calderdale. Here are some of the best to see locally, with a Christmas tree festival, illuminations event in Sowerby Bridge and art projections on Halifax buildings too. From snowmen to stilt walker’s, there’s plenty to keep you busy before the lights in Halifax get switched on. At 2pm, Halifax BID will try to break a Guiness World Record for the most snowmen in one area (Saturday, November 24, Woolshops). Wear a scarf and donate it to the homeless at the end. Climb into a giant, interactive snow globe and enjoy stilt walkers and Christmas crafts from noon until 5pm at Woolshops. Pulse radio are entertaining throughout the afternoon, and there will be fireworks! Sing carols at St Bartholomew’s Church at 4.30pm, then watch the lights being switched on at the Memorial Gardens, Oldham Road at 5.30pm. You might bump into Father Christmas too! Pop along to Brighouse Christmas Market on Saturday, then watch Father Christmas arrive in his horse drawn sleigh to turn on the lights at around 4pm. There will be street entertainers, a refreshment stall, carols and Santa’s grotto too. Elland Silver Band and choir singers will get you in the festive spirit for the Christmas lights switch-on at the bandstand. There will be competitions and refreshments, with activities raising money for Overgate Hospice. Local shops will be displaying baubles decorated by local schoolchildren. There’s far more then Christmas trees lighting up Calderdale! Check out these fun family-friendly goings on, and see our events calendar for more fairs, festivals and events. Kids will love walking among the beautifully decorated real Christmas trees at The Halifax Minster Christmas Tree Festival. Decorated and sponsored by local businesses, they will range from 6-18ft. Refreshments will be on sale and the Minster shop will be open. £2 entry for adults and children FREE. Come along in your best illuminated costumes and dance, feast and drink. Live music, food, performances and fireworks! Sunday, December 16. From 4.30pm. Free light and sound spectacular bringing buildings in Halifax to life! December 8 & 9. 6pm, 7pm, 8pm, 9pm. 10 minute light and sound display. December 7-9. From dusk. A frosted Christmas light installation.